January 2014 - Krown Manufacturing, Inc.
Barbara Ander says her 8-year-old granddaughter is difficult to wake up in the morning. 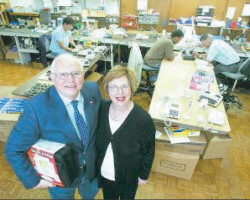 Fortunately for Ander – and perhaps unfortunately for her granddaughter – Krown Manufacturing makes alarm clocks that will wake even the soundest of sleepers… Read more courtesy of Fort Worth Business Press. 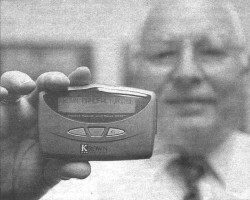 At the Consumer Electronics Show in Las Vegas last week, tucked amid booths from technological heavyweights like Sony, HP and Toshiba, Sidney Ander was determined to be heard… Read more courtesy of Fort Worth Star Telegram. 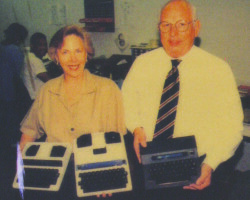 Most devices, such as a TTY teletypewriter or TDD machine, are bulky keyboard terminals that use a telephone line to establish a text connection with others using a similar machine… Read more courtesy of Tarrant Business. 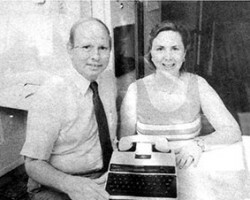 A private silence surrounds Barbara and Sid Ander, but their communication efforts speak volumes. 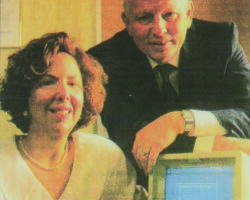 The Anders, who are both deaf, manufacture and distribute TTY machines… Read more courtesy of The Business Press. 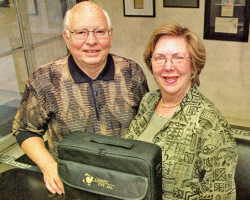 For entrepreneur Sid Ander, the silence of hearing impairment spoke persuasively of business opportunity… Read more courtesy of Dallas/Fort Worth Business Journal.